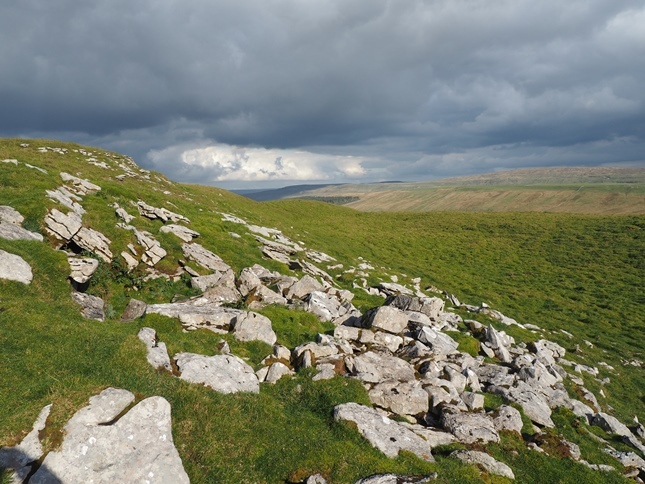 Wold Fell is an exceptionally flat-topped fell situated on the main Pennine watershed between the upper reaches of Dentdale and Widdale. 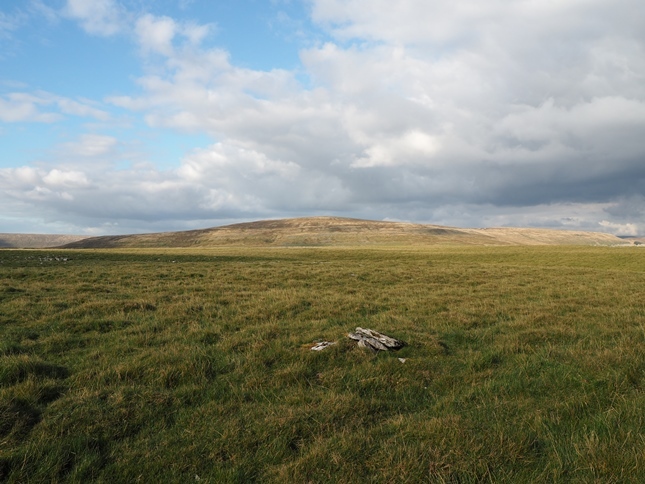 Unlike some of the much better known hills in the Dales, Wold Fell is situated on the main Pennine watershed. To the east water flows down into Widdale Beck and thence into the River Ure. To the north and west it feeds the River Dee and eventually the Lune whilst to the south a couple of streams join the gathering grounds of the Ribble. 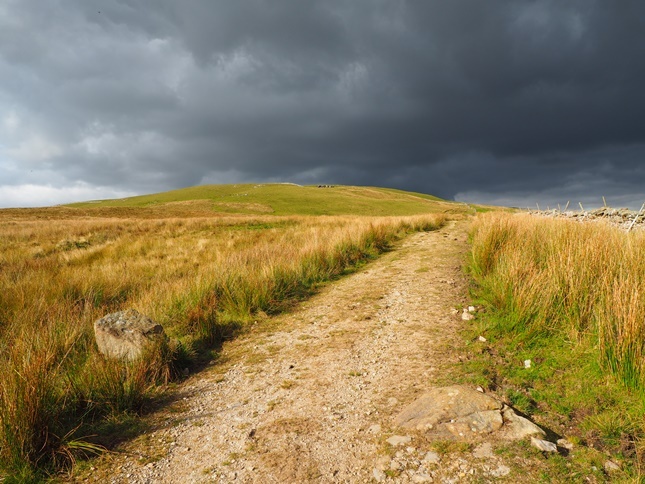 The flat-topped grassy summit can easily be reached by using the Pennine Bridleway which climbs over the shoulder of Wold Fell before descending into Arten Gill. 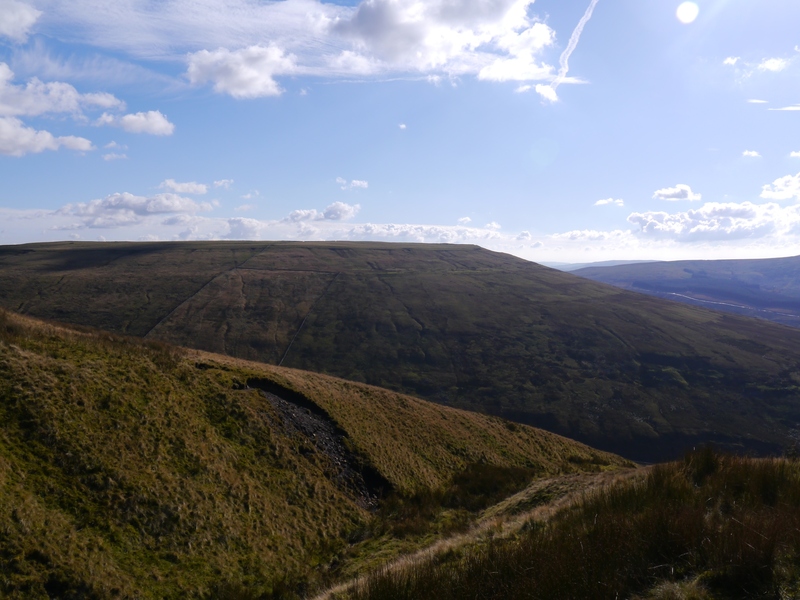 The OS Explorer OL2 map gives a spot height of 558m as the highest point but the Database of British Hills records a height of 559m which is marked by a small outcrop 280m SSW of the OS spot height. 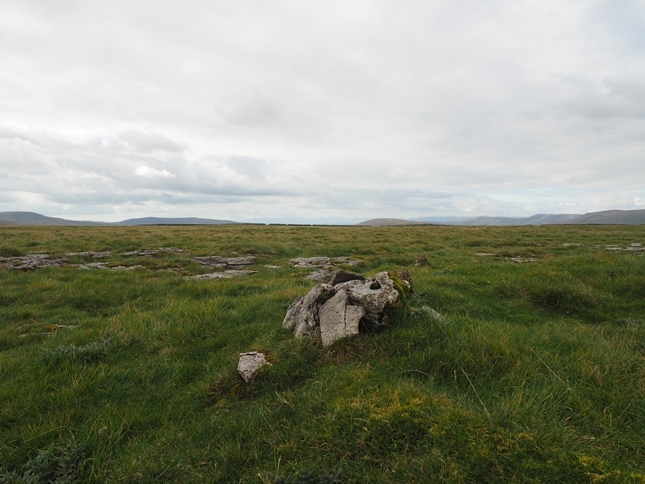 The summit area is mainly grass though there are some sections of heavily eroded limestone pavement near the 558m spot height as well as to the north of the 559m summit. Just below the summit there is also a very modest limestone edge with a scattering of boulders. Although the view from the summit lacks depth it more than makes up for it in breadth. On my second visit I was lucky enough to enjoy excellent visibility. In addition to a host of Dales peaks on view I could also clearly see the Scafells and Great Gable to the north-west in the Lake District while to the south I could also see Pendle Hill as well as Winter Hill in the West Pennine Moors, identifiable by the huge mast on its summit.